Asking simple questions in Spanish is incredibly easy. In Spanish we do not need an auxiliary verb, such as “do”, “does” or “did”, to form a question. To ask a simple question in Spanish, we place the conjugated verb at the beginning of the question or in front of the subject. However, when asking a simple question, it is also usual to ask it without placing the conjugated verb at the beginning of the question and simply modifying the intonation of the sentence to make it an interrogative sentence. Therefore, we could simply say, ¿Ella habla español? Note that in Spanish we have an opening interrogation “¿” mark and a closing interrogation mark “?”. You could look at the opening question mark “¿” as the auxiliary verb, “do”, “does” or “did” that we would normally use in English. ¿Hablas (tú) español? Do you speak Spanish? Notice that the subject pronoun “tú” is optional because the conjugation “hablas” already tells us that we are speaking in the “you informal” form. 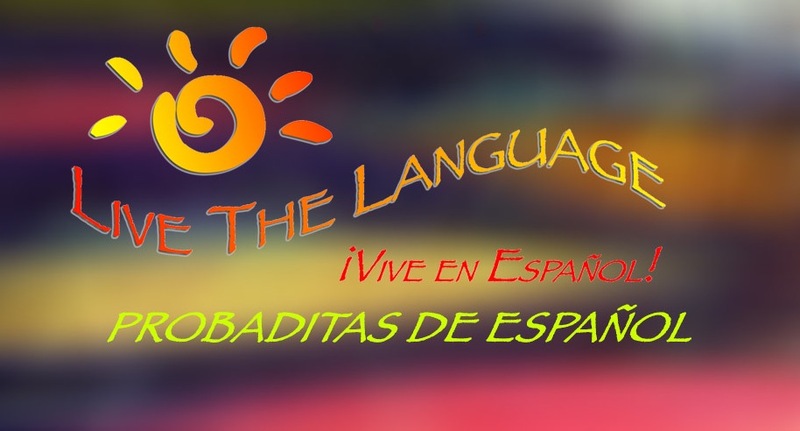 In videoblog included with this entry, we are going to focus on asking Complex Questions and Limiting Questions in Spanish. Complex Questions: Complex questions request more than a simple “yes” or “no”. The asker wants specific information or an explanation. To form complex questions in Spanish, form a simple question and precede it by one of the following interrogative words. For example: ¿Cuándo hablas español? (When do you speak Spanish?) Note that’s necessary to write accent marks on the interrogative words, especially since some of these words change their meaning without accents. Use the following interrogative words to form complex questions. Limiting Questions: The person asking a limiting question wants to know ¿Cuál? (Which? ), ¿Cuáles? (Which ones? ), ¿Cuánto(a)? (How much? ), ¿Cuántos(as)? (How many?). For example: ¿Cuánto español habla ella? There are a handful of general rules to consider when asking questions in Spanish. ¿Cuál quieres? Which one do you want? Note that “Which” is followed by a noun in English; for example, Which one do you want? Also note that the words “one” and “ones” are implicit in the Spanish language. The most common mistake is to translate “What’s your name?” as “¿Qué es tu nombre?” This is an incorrect translation because this question would be interpreted as what’s the origin of your name. The correct translation is ¿Cuál es tu nombre? Which one of all names is yours? Study these comparative examples to see how these interrogatives work side by side! ¿Cuál es tu color favorito? What’s your favorite color? ¿Qué color te gusta más? Which color do you like best? 3. “Qué” can also be followed by a verb in Spanish. For example: ¿Qué quieres? What do you want? In this example there is a direct correlation between English and Spanish, except that Spanish does not use an auxiliary verbs. “What” can also be followed by a verb in English; for example, what do you want? 4. Note that the interrogatives How much? ¿Cuánto (a)? and How many? ¿Cuántos (as)? need to agree in gender and number with the noun that they precede. For example: ¿Cuánta harina necesitamos? How much flour do we need? ¿Cuántos chocolates quieres? How many chocolates do you want? Enjoy the interview with my aunt Consuelo Garrido, the amazing, playwright, and screenwriter. D: Hola, Consuelo. ¿Cómo estás? D: Hello , Consuelo . How are you? Ch: Hola Deidre. Estoy muy bien, gracias. ¿Y tú? Ch: Hello Deidre . I'm doing very well, thanks. And you? D: ¡De maravilla!, gracias. Y cuéntame, qué te gusta más, ¿escribir para cine, para televisión o para teatro? D: Great! , Thanks. And tell me , what you like more, writing for film, television or theater? Ch: Me gusta escribir para las tres y también para radio. Ch: I like writing for all three, and also for radio. Ch: Porque tiene su chiste. Cada una tiene su chiste. Es divertido y tienen su encanto. Ch: Because it’s interesting. Each one is one is interesting. It's fun and they have their charm. D: ¿Y qué estás escribiendo actualmente? D: What are you writing now ? Ch: Una serie para radio sobre educación sexual para chavitos de la preparatoria. Fue una idea que me propusieron los del Instituto de las Mujeres. Y desarrollé personajes, situaciones, trama, la trama, y después ya hice toda la estructura de la serie. Empecé a escaletear* los capítulos y a escribir y a reescribir. Ch: A radio series on sexual education for high school kids. It was an idea that I proposed to the Women's Institute. And I developed characters, situations , plot, and then we did the whole structure of the series , I started a rundown of chapters and wrote and rewrote . D: ¡Qué divertido! ¿Y cuándo sale al aire esta serie? D: What fun! And when does this series air? Ch: Esta serie ya está al aire y se puede escuchar por internet. Ch: This series is already in the air and can be heard online. D: ¿Y cuándo escribes? En la mañana, en la tarde, en la noche. D: And when you write? In the morning , in the afternoon , at night. Ch: Pues escribo a toda hora, pero principalmente en la noche. Ch: I write all the time, but mostly at night . D: ¿Y por qué? ¿Por qué en la noche? D: Why ? Why at night ? Ch: ¿Por qué en la noche? Porque no hay ruido y porque no suena el teléfono. Todos están dormidos. Ch: Why at night ? Because there is no noise and because the phone doesn’t ring. Everyone is asleep. D: ¿Y quién es tu escritor favorito? D: Who is your favorite writer ? Ch: Mi escritor favorito es Shakespeare ¿Y el tuyo? Ch: My favorite writer is Shakespeare. What's yours ? D: Juan Rulfo. Me encanta Juan Rulfo. ¿Y cuántos libros lees por año? D: Juan Rulfo. I love Juan Rulfo. How many books do you read per year? Ch: Pues aproximadamente unos diez. A veces menos. Ch: About ten. Sometimes less. D: Sí, yo también. Yo menos de diez, aunque leo muchos cuentos cortos, sobre todo cuentos latinoamericanos. Tantos como pueda. ¿Y después de que termines tu serie para radio, en qué proyecto te gustaría trabajar? D: Yes, me too. Less than ten, although I read many short stories, especially Latin American short stories. As many as I can. And after you have finished your series for radio, what project you want to work on? Ch: En una serie de televisión que tengo en mi mente sobre un hombre muy feo y muy conquistador, muy mujeriego. Ch: On a television series that I have in my mind, about a very ugly man, a womanizer . D: Un hombre feo físicamente o con una personalidad fea? D: An ugly man physically or with an ugly personality? Ch: No. Un hombre feo físicamente, pero de personalidad encantadora. Ch: No. A physically ugly man, but with a charming personality . D: ¡Oh, qué maravilla! Muy bien, muchas gracias, tía. Hasta la próxima. D: Oh, how wonderful! Very well, thank you very much, Aunt. Until next time. *En el argot de los guionistas la palabra escaleta (step outline) se refiere a una lista de las escenas que componen la obra. *In writer’s slang, “rundown” refers to a list of the scenes that make up the work.